I always need a little prod in January. After the novelty of the new year wears off there I am, stuck in winter mode with a craving for comfort food and a slightly fuzzy brain. I have nothing against comfort food, but it’s not the best thing in the world for the Tinky body, which tends to be … sturdy. (I love euphemisms!) And the fuzzy brain doesn’t do me much good. Happily, I recently received a review copy of T. Susan Chang’s A Spoonful of Promises: Stories and Recipes from a Well-Tempered Table. It gave me the illusion of consuming comfort food without actually eating—at least until I tried one of its tempting recipes—since it talks about the place of food in the author’s life. And it reminded me why I love to write about food, thereby removing at least a little of the fuzz from my brain. Susie Chang lives with her husband and her two children not too far from my western Massachusetts home, in the town of Leverett. She has even heard me sing! 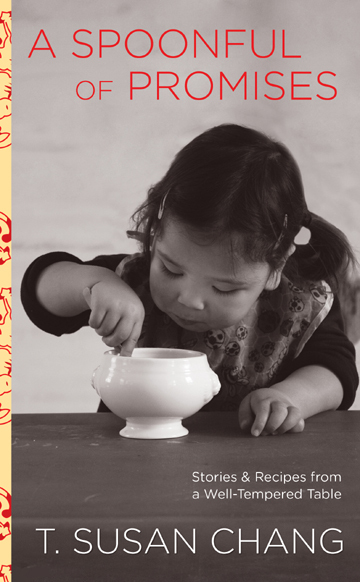 A Spoonful of Promises is her first book. It features a number of recipes—the author is a creative cook—but most of all it shares food memories. Susie Chang recalls trying to make funnel cake in her family kitchen as a child without much knowledge of frying, with disastrous (although fortunately not injurious!) results. She talks about learning to love cooking as a young adult in New York, when cooking became her passion. She discusses her food adventures with family and friends at home in Leverett, where her family raises most of the vegetables it consumes in season. Her tone is passionate yet humorous; it’s hard not to giggle when reading a chapter titled “Zombie Servants of the Noodle God.” Many of her stories are touching as well. Having just lost my mother to old age and Alzheimer’s disease, I was particularly moved by an essay in which she talks about trying to grow saffron bulbs, a present from her father, who suffers from dementia. Her frustration with the delicate saffron is intertwined and infused with her feelings about her father and his illness. Like the saffron, he is a fragile plant that she can’t quite bring all the way to life yet treasures nevertheless. Reading the book was a tonic and inspiration for me as a writer and a cook. As longtime readers of this blog know, I, too, like to consider food as nourishment for much more than the body. 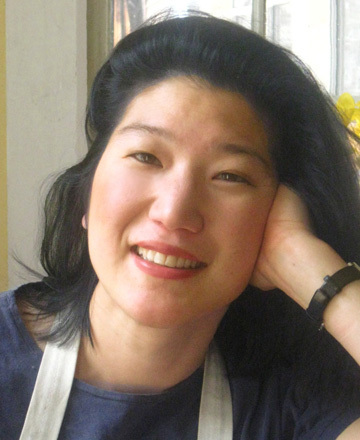 As T. Susan Chang understands, food connects us to the loved ones in our past, builds relationships for the future, and lets us learn about faraway people and places. A Spoonful of Promises was published by Lyons Press and sells for $24.95. I interviewed Susie Chang for the Greenfield (Massachusetts) Recorder and will try to link to that article when it is published. Meanwhile, I’m sharing one of her recipes—sort of! 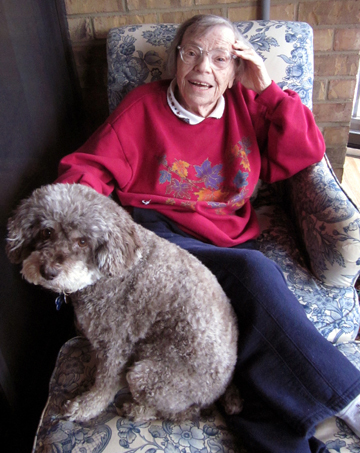 Susie’s book includes a section about her children’s favorite foods—and hers. One of the treasures here is a Swiss chard tart, which her son Noah loves to take to school for lunch. His bewildered classmates all want to know what the heck a “charred tart” is. When I got ready to make it I couldn’t find my tart pan so I made a chard quiche with a pie crust I had in the freezer instead of Susie’s tart crust. My winter farm share included Swiss chard this week so I did replicate her filling, more or less. [C]hard tart exceeds the sum of its parts. The garlic softens and all but disappears, and the nutmeg is—as nutmeg generally should be—no more than an idea. The eggs and Gruyère fuse around the greens producing spots of cheesy bronzing. For a moment, a dozen ingredients coexist in uneasy harmony in chard tart, contained within the borrowed perfection of its fluted rim. This is what we call le cooking, mes amis! 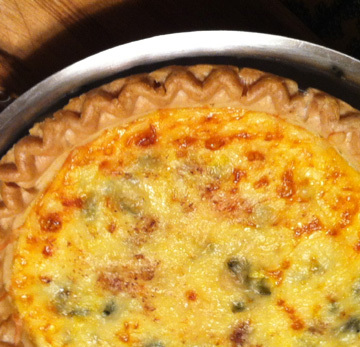 The quiche my family enjoyed may not quite have equaled Susie’s tart, but it looked lovely and offered a pleasing balance of flavors. And it used up most of our Swiss chard, not to mention some cheese and cream I had leftover in the fridge. This is what we call la frugalité, mes amis! Susie makes her tart crust by hand and then blind bakes it for a bit before adding the filling, after which she bakes the whole thing together at 350 degrees. I used a more standard pie crust so I just did what I usually do with a quiche—filled the uncooked pie shell and baked it. If you’d like to try her fabulous tart crust, buy her book; you’ll love it! Slice the shallots into thin rings or half-rings; if using garlic, slice the cloves thinly pole-to-pole. Strip the green leaves of the chard from the stems. Slice the leaves crosswise into 1/4-inch ribbons (discard the stems or save for soup) and rinse to remove any sand. Heat the olive oil in a large skillet over medium heat. When it begins to shimmer, add a pinch of salt and the sliced shallots or garlic. Sauté the vegetables until tender and just beginning to caramelize. Raise the heat to medium-high and add the sliced chard all at once. Cook together, stirring, until the chard has wilted and is once again quite dry. Season to taste and remove from heat. 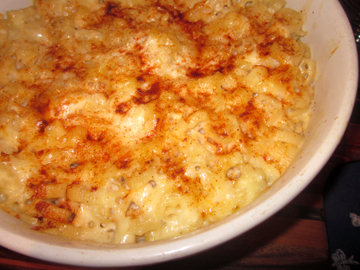 Coarsely grate the cheese. In a measuring cup, beat the cream, eggs yolks, and a pinch of salt together vigorously with a fork. Assemble the pie: scatter half the cheese in a scant layer over the dough. Layer the cooked chard mixture over that. Pour the yolk-and-cream mixture over the chard, and scatter the rest of the cheese on top. Grate a small amount of nutmeg over the whole thing and place the pie (on top of a cookie sheet or larger pan in case of spills!) in the oven.